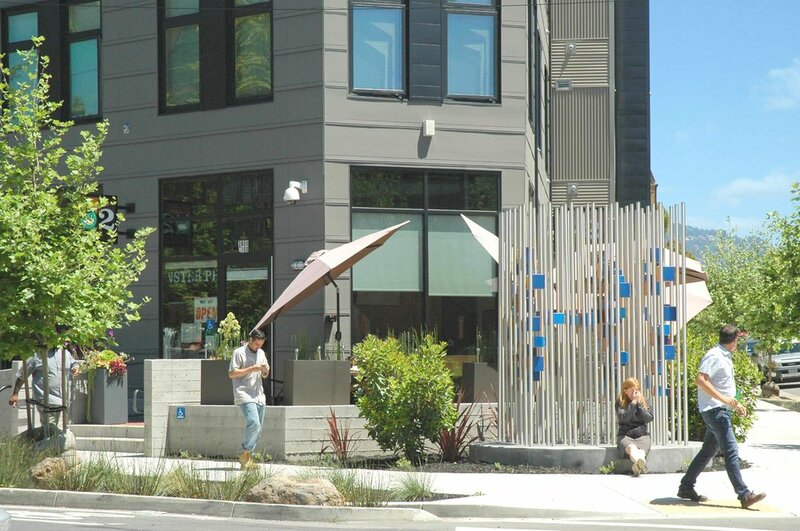 3900 Adeline is an infill mixed use development located on the Oakland/Emeryville border. This project incorporates 91 residential (1, 2 and 3 bedrooms), 10 live/work and 13 affordable units over ground level parking on a 1.1 acre site. This sustainable design follows the Alameda County Multifamily Green Building Guidelines as well as incorporating a retail component with accompanying outdoor seating terrace. The residential units and retail space are divided up into 4 separate buildings, each connected by bridges surrounding a central communal courtyard. The project’s exterior responds to the surrounding context, with a sensitivity to scale of neighboring structures.